This just in: The supremely talented Jess Glynne is taking over the official GLAAD Media Awards After Party with an exclusive performance! The Grammy Award winning pop singer-songwriter will close out the evening hosted by Ross Mathews and honoring Sean Hayes with the Stephen F. Kolzak Award. Tickets are going fast, make sure to get yours while they last! 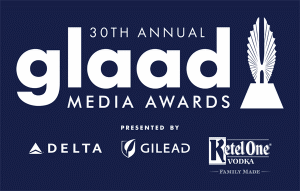 For information on how you can attend this year’s GLAAD Media Awards, visit glaad.org/mediaawards.